Styled with tiffany jacket . And possibly love eyes. 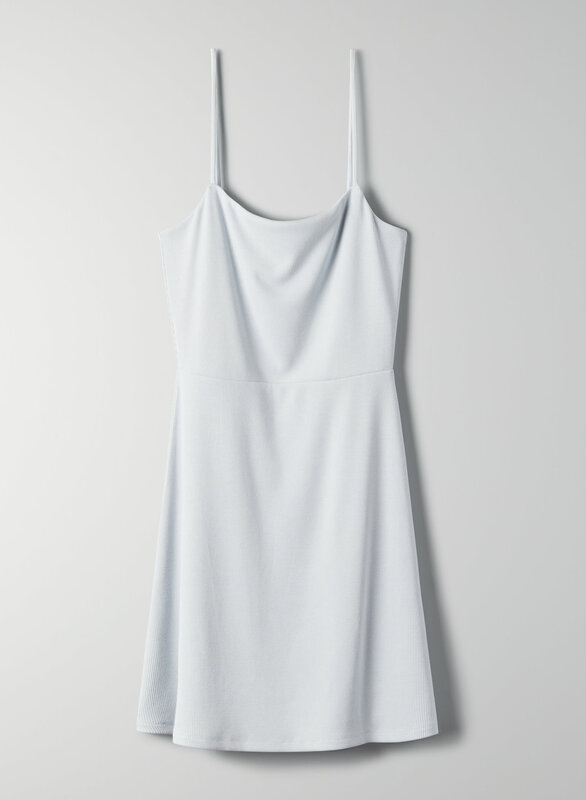 This is a bodycon mini dress with spaghetti straps and a seam at the waist. It's made with a stretchy ribbed fabric that holds its shape.